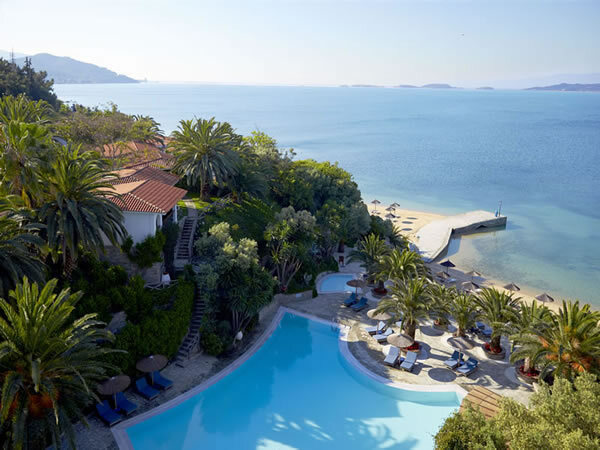 Eagles Palace Hotel in Ouranoupoli is a luxury 5-star hotel located on the third finger of Halkidiki . 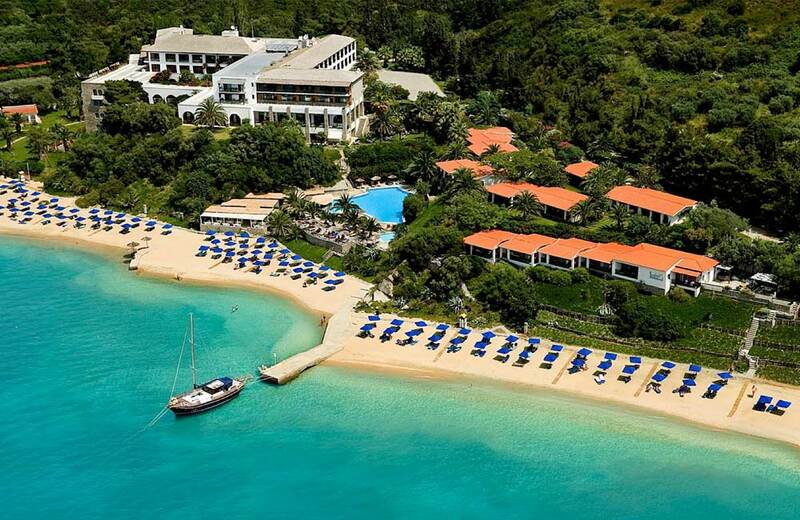 It is an attractive destination for thousands of visitors, both Greek and abroad. It is located 145km away from Thessaloniki airport and It is one of the most popular tourist destinations. 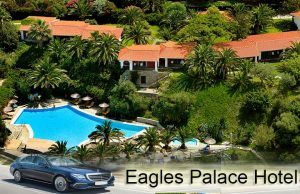 Thessaloniki taxi transfers undertakes your transfer from Thessaloniki airport to Eagles Palace Hotel in Ouranoupoli in Halkidiki,most of all with comfort safety and reliability. First of all our luxury Mercedes E class cars always clean and in an excellent condition. In addition our polite, helpful drivers are willing to undercover what a passenger needs . In conclusion, our experience, the high quality of our services and the low cost charge, offer a rather comfortable and safe journey.